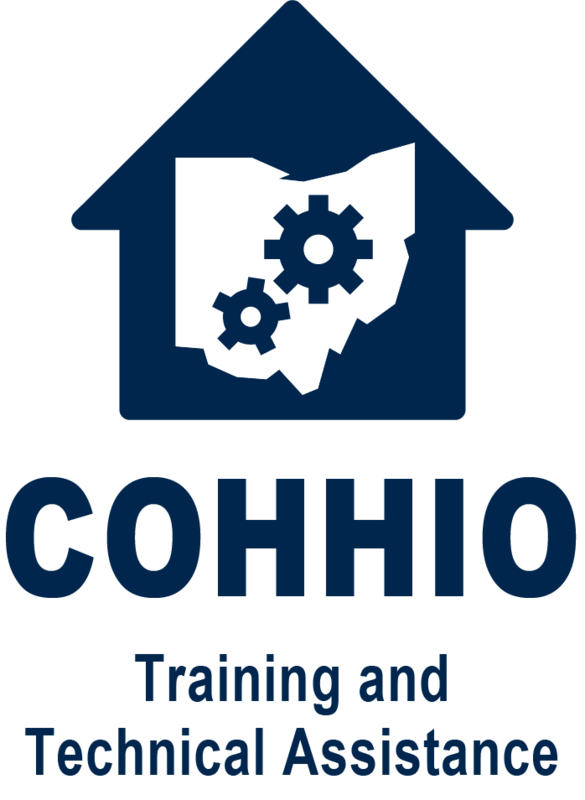 COHHIO provides a wide range of training, technical assistance and capacity building support to government entities, non-profit organizations, housing and homeless service providers and other key stakeholders in Ohio. Building on COHHIO’s advocacy work on effective housing policy solutions, we provide training and technical assistance that is based on best practices and current research to improve the lives of vulnerable populations. The Ohio Development Services Agency’s (ODSA) Office of Community Development (OCD) contracts with COHHIO to provide training and technical assistance to ODSA, the Housing and Homelessness Collaborative (formerly the Interagency Council on Homelessness and Housing), and community-based organizations across the state. COHHIO provides training and technical assistance through the completion of the “State of Homelessness Report;” through Ohio Balance of State Continuum of Care (BoSCoC) homeless services capacity building; by hosting specific trainings regarding federal and state homeless programs; by assisting with the BoSCoC Consolidated Application to HUD; by supporting BoSCoC Homeless Management Information System (HMIS) staff; and through other support as requested. For additional information on Ohio BoSCoC specific support, please click here. The Homeless Crisis Response Program (HCRP), which prevents homelessness for low- and moderate-income individuals and families, provides for emergency shelter operations, and rapidly moves persons from emergency shelter into permanent housing. The program is funded through the federal Emergency Solutions Grant (ESG) and the Ohio Housing Trust Fund (OHTF) and includes: homelessness diversion and prevention; emergency shelter; rapid re-housing; and scattered-site or voucher-based transitional housing. The Supportive Housing Program (SHP) provides funding for operations (and limited funding for services) in permanent supportive housing and facility-based transitional housing programs for low- and moderate-income citizens. The program is funded through the federal Emergency Solutions Grant (ESG) and the Ohio Housing Trust Fund (OHTF) and includes facility-based transitional housing and permanent supportive housing. Emergency Solutions Grant (ESG) program is designed to identify sheltered and unsheltered homeless persons, as well as those at risk of homelessness, and to provide the services necessary to help those persons quickly regain stability in permanent housing after experiencing a housing crisis and/or homelessness. For additional information on ESG, click here. Assistance includes: homelessness diversion; emergency shelter; rapid re-housing. Continuum of Care (CoC) program is designed assist individuals (including unaccompanied youth) and families experiencing homelessness and to provide the services needed to help such individuals move into transitional and permanent housing, with the goal of long-term stability. The CoC program involves permanent housing, permanent supportive housing, rapid re-housing, transitional housing, Supportive Services Only (SSO), and HMIS. 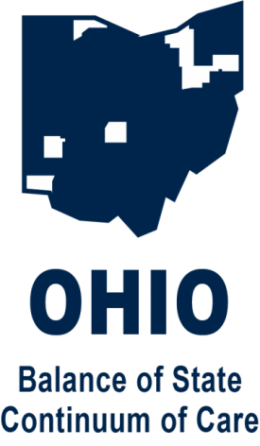 The Ohio Department of Mental Health (ODMH) contracts with COHHIO to provide training and technical assistance to Ohio’s PATH program grantees. The PATH program is administered by the Center for Mental Health Services, a component of the Substance Abuse and Mental Health Services Administration (SAMHSA), within the U.S. Department of Health and Human Services. The Stewart B. McKinney Homeless Assistance Amendments Act of 1990 authorized the PATH program. PATH is a formula grant to the 50 states and other territories. ODMH administers these formula funds for Ohio. PATH services are for people with severe and persistent mental illness, including those with co-occurring substance use disorders, who are experiencing homelessness or are at risk of becoming homeless. PATH services include community-based outreach, mental health, substance abuse, case management and other support services aimed at helping homeless persons secure housing and also become linked to mental health services. For additional information, please click here. 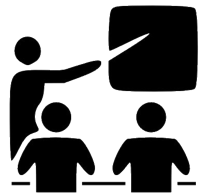 COHHIO provides training and technical assistance to Ohio’s PATH program providers through attending mandatory provider meetings, hosting PATH specific trainings, completing program site visits, assisting with PATH program applications and Intended Use Plans and other areas as requested.